The Audio Engineering Society (AES) holds 2 main conventions each year. AES New York, now always held in New York in October and a convention held in Europe and this year it was held in the Dublin Convention Centre. As with the regular AES Conventions it was a mix of a trade show and seminars, workshops, and presentations of technical papers. In this article I am going to share products that stood out for me in the Product Showcase hall. There is no doubt that this is a high end 8 channel mic preamp aimed at the live sound and live broadcast markets with its AES and Dante outputs. We understand that they are currently working with Avid to enable it to be controlled from within Pro Tools like the Avid Pre. The price is £4,749.17 here in the UK or $5995 in the US. Some dealers are showing it as being in stock whilst others have ii listed as available to pre-order. Second Sound were in the Product Showcase section demonstrating a prototype board which had a chip on it that converts analog audio into pitch and envelope CV signals to control analog synths or convert the pitch information via a digital bitstream for MIDI pitch on/off and pitch bend commands. Pitch to MIDI - Use a vocalist to control any MIDI synth accurately and low enough latency for live performance. 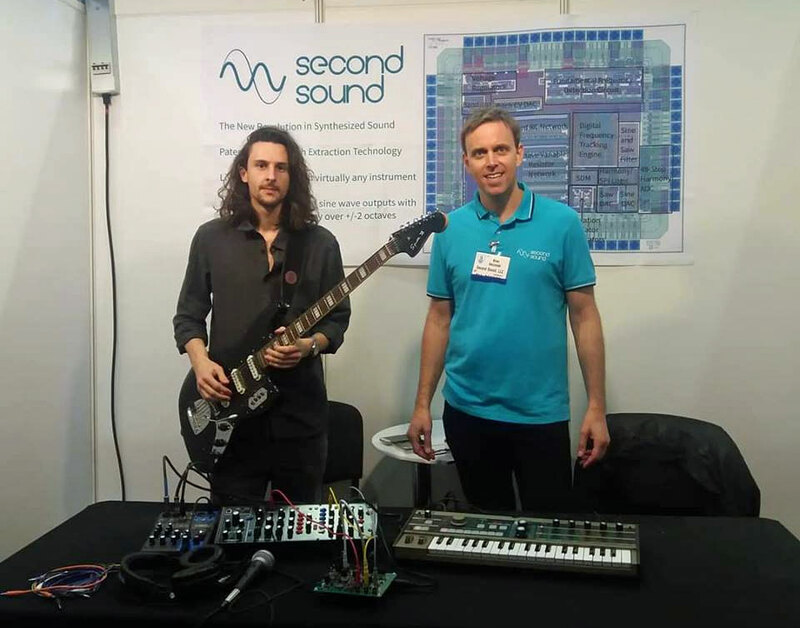 Second Sound were at AES in Dublin to present a paper on the fundamental frequency tracking circuit used in the chip as part of the Music Information Retrieval session as well as looking for leads to find manufacturing partners who would like to design products using their new technology. I was blown away by the demos of a bass guitarist being able to play a range of devices, with perhaps the most impressive demo being the bass guitarist ‘playing’ a strings synth and being able to bend the notes and play a very convincing strings line using a bass guitar. This was my first opportunity to experience the latest version of Sound Particles. You may remember that I was very impressed with the previous version at AES New York last October. In case you haven’t come across Sound Particles before, it is an immersive 3D CGI-like application for film, TV, VR, music and game audio production. It has been used on many feature film releases (including Aquaman, Ready Player One, Batman vs Superman, among many others). Since its release just over three years ago, the latest version, Sound Particles 2.0 added binaural monitoring, Windows support, Ambisonics file import, CGI file integration and real-time rendering, along with many more significant feature updates. To be able to import native CGI animations, such as Autodesk’s .fbx files as well as tag graphical components and automatically track keyframes, saving time by streamlining workflows for dynamic objects makes it even easier to use. the addition of Windows support also means Sound Particles is one less post production related tool that can only be used on a Mac system. Being able to monitor and audition immersive audio creations in binaural on headphones, means you can audition immersive sound designs without the need to have a full Dolby Amos monitoring system, making it easier to use in track-lay suites that tend not to have full Dolby Atmos monitoring. Finally Ambisonic support all the way up to 6th order files further strengthens the immersive feature set for Sound Particles. 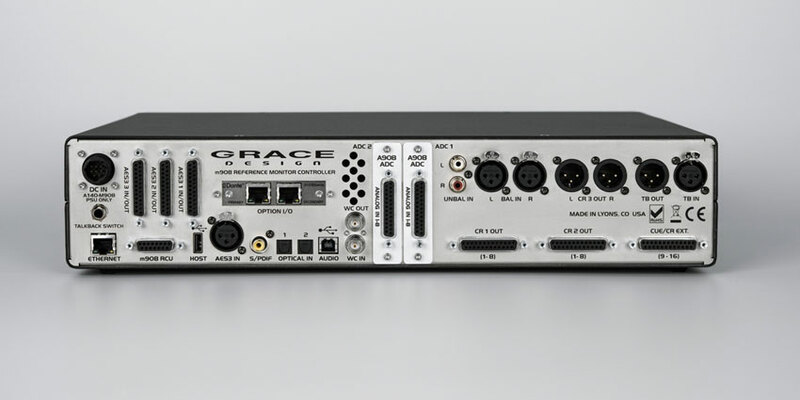 The final product that caught my eye was the Grace Designs M908 monitor controller which was a late addition to our Roundup Of Monitor Controller Systems That Support Immersive Audio Formats Like 7.1 And Dolby Atmos. The M908 actually supports all the way up to 22.2 for NHK and this was the first time I saw one in the flesh and was able to play with it. Overall there were a select number of brands presenting their products in the Showcase hall. The AES has reported that there were 968 attendees, with 117 speakers across 121 sessions and was supported by 87 sponsors. In a partner article I am going to be sharing my highlights from the 121 sessions presented at AES Dublin 2019. How Good Is Your Ear? Can You Name These 10 Wurlitzer Riffs? - e-instruments Launch Session Keys Electric W And Offer A Chance To Win A Prize Worth €1132 If You Know Them All. New Virtual Bassist Completes the UJAM Virtual Band - You Need To Try This In Your Songwriting And Mixes.